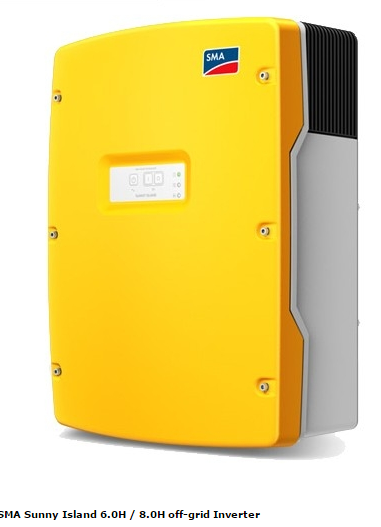 Here are the steps to configure the SMA Sunny Island inverter/charger to the WatchMon supervisor. 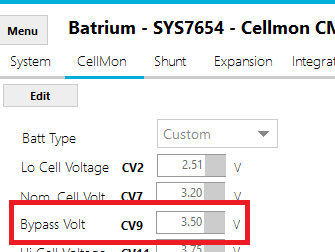 CAUTION: Example shown is for a demo LiFePO4 cell pack 16S1P, ensure that you adopt values suitable to your application and comply with the battery suppliers recommendation. Step 1 - Install communication cable to charger via CAN port on WatchMon. Step 2 - Install communication cable to SMA inverter wiring socket. 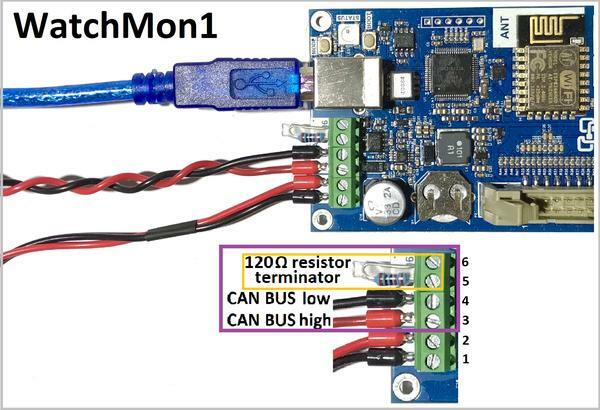 Only the Sunny Island CAN communication interface is connected to the BMS, the second communication line – SYNC Bus is not connected to the BMS. NB: Using a CAT5 ethernet cable strip back the cable and connect to pins identified above. Step 3 - Navigate to Hardware, then Integration tab. Step 4 - Select Canbus protocol to "SmaSunnyIslandV31" and Save. Step 5 - Navigate to Control Logic, then Charging tab. Step 6 - Adjust the charging control logic to suit the application. Limited power must be enabled. Cell Hi Cutout should be above the CellMon bypass voltage threshold as a safe guard target. 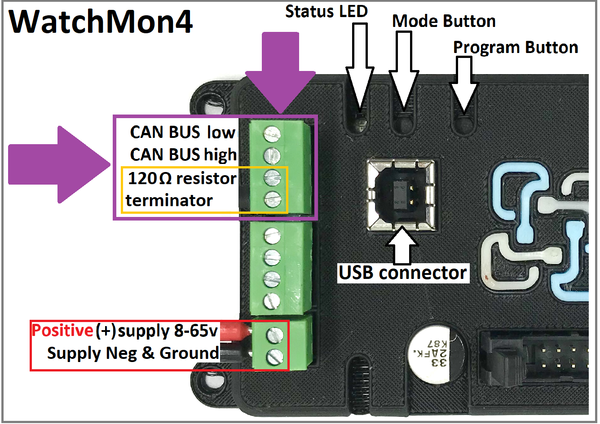 Low power current should suit the bypass capability of CellMon. When the bypass current is above Initial will trigger the system to low power. When the bypass current for all cellmons is above Final the system will complete charging cycle. Step 7 - Navigate to Hardware, then CellMon tab. Step 8 - Adjust the CellMon bypass voltage to suit the application. Note: Make sure to "Device Sync" the changes to the CellMons. 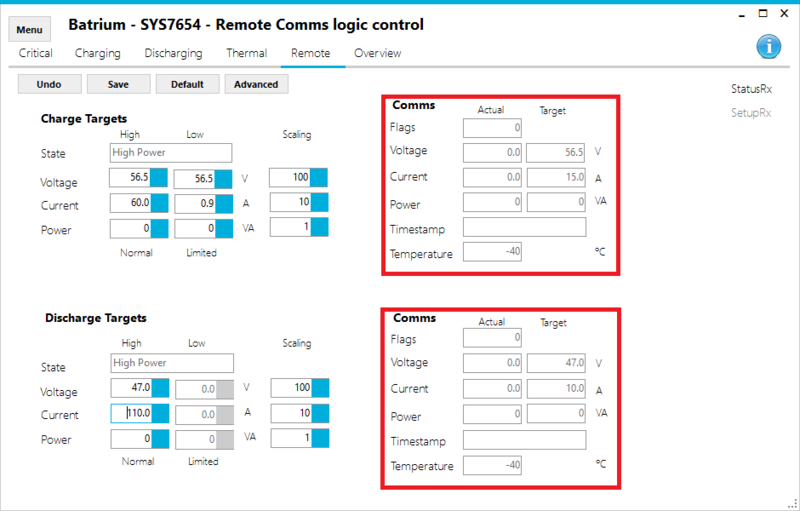 Step 9 - Navigate to the Remote tab on the Control Logic screen. Step 10 - Adjust the remote charging target to suit the application. Scaling must be 100 for voltage. Scaling must be 10 for current. Low power must be enabled on charging tab. 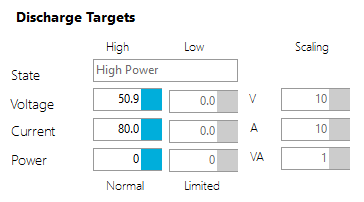 Charger voltage target needs to be sufficient for all cells to reach bypass threshold. Step 11 - Adjust the remote discharging targets to suit the application. Scaling must be 10 for both voltage and current. 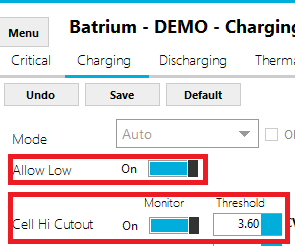 Do not run low power mode on discharging tab. Control logic discharge voltage cutout should match the remote target. 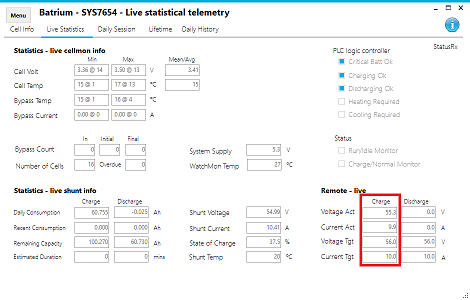 Step 12 - Navigate to Telemetry, then Live Stats to observe system operation.